A flurry of recent diplomatic activity and high-profile visits to the Iraqi capital, including this month’s reopening of a Saudi Consulate in Baghdad — for the first time in nearly 30 years — point to a new era of openness as the nation sheds its war image and re-engages with the world. 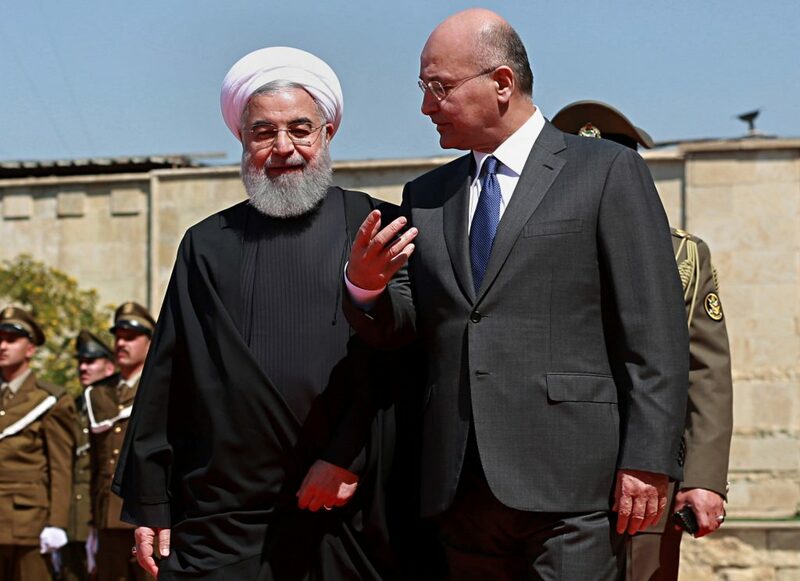 “We have 1,400 kilometers of border with Iran, we simply cannot ignore that reality,” Salih said, adding that it’s in Iraq’s national interest to nurture good relations with Iran, with which Iraq fought an eight-year war in the ’80s. He said Iraq, however, was also keen on good relations with Turkey, Saudi Arabia and other regional countries. The Saudi delegation’s visit followed a trip to Baghdad last month by Iranian President Hassan Rouhani during which the two sides signed several agreements designed to boost bilateral relations. In 2007 U.N. chief Ban Ki-moon famously ducked behind the podium during a live press conference with the prime minister at the time, Nouri al-Malki, as a rocket exploded outside the building. Prime Minister Adel Abdul-Mahdi in his first foreign trip last month traveled to Cairo to meet with Egyptian President Abdel-Fattah el-Sisi. They were joined by Jordanian King Abdullah II for a tripartite summit on measures to strengthen economic cooperation. On Tuesday, Abdul-Mahdi announced he will soon be visiting Saudi Arabia to sign several agreements.